You can now view and download our new productbrochure from our website. In this brochure our products and services are explained in detail. If you would like to receive a free paper version of this brochure, please contact us. The MS 421B Bridge Navigational Watch Alarm System (BNWAS) guards you from the duty officer unintentionally falling asleep. By demanding action regularly, alertness is guaranteed and chances for accidents are reduced. Marble Automation has developed an Lloyds Register type approved Emergency Telegraph. 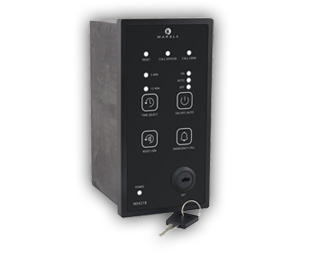 The MS 325 is designed specifically to give commands if the regular system fails. Commands for the bridge are transmitted to the engine room through the MS-325. Systems which should be monitored remotely, logging in on other networks abroad, providing information on a phone or mobile device; New developments do also mean new and other wishes from our customers. Do you wish more information about this, please do contact us. 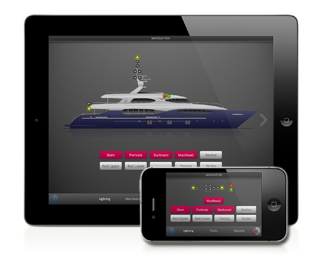 Marble Automation, based on the former island of Urk, designs and delivers alarm-, monitoring- and automation systems for any kind of vessels or buildings. 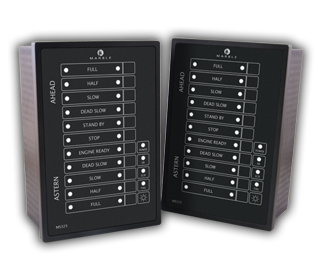 Besides the delivery of maritime product from our own line of products â€“ variations from alarm units to complete watchalarm systems (BNWAS) â€“ Marble Automation is worldwide expert in ship automation. 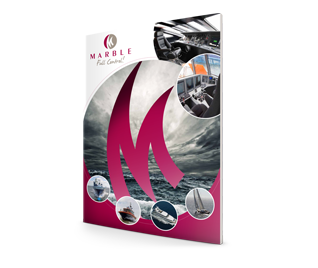 Having started out as a specialist in automation systems for fishing vessels, Marble has grown into a globally renowned and reliable partner in automation for all types of vessels including the finest sailing yachts and luxury motoryachts. Our employees are qualified to deliver you a qualitatively high-minded product. These quality standards are secured repeatedly when our systems are certified by well-known certifying agencies (see below on this page). Marble Automationâ€™s mission statement is summarized in the slogan â€˜Full Control!â€™ and it explains that we give full control to our customers over their systems. The intricate needs of your system will be in good hands a Marble Automation. This mission statement is a core value of our company and is used as a fundamental main point at all products, systems and internal and external processes. The new products of 2014!